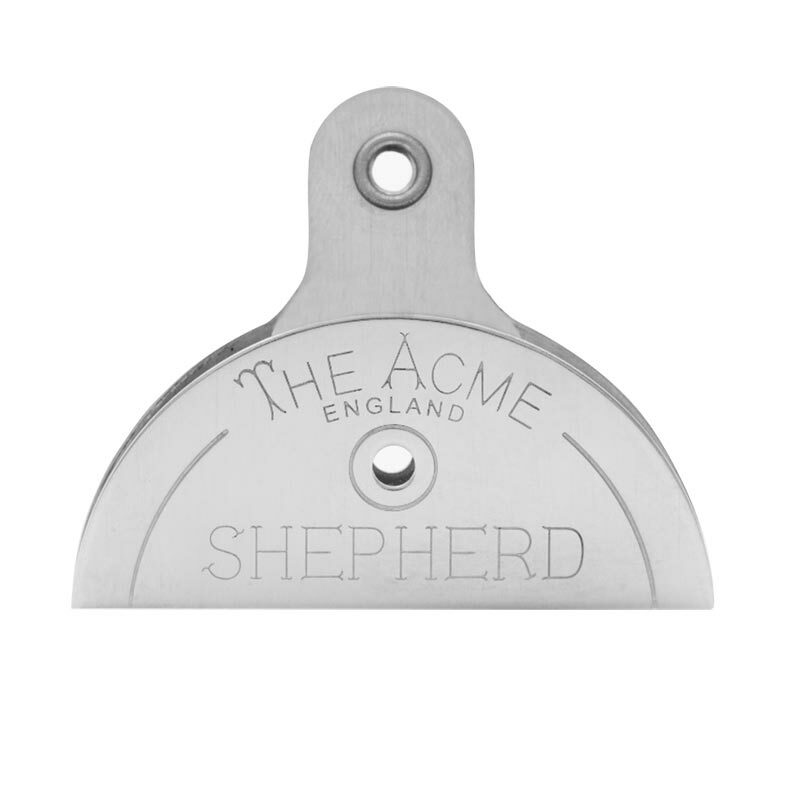 The Acme ® 575 Nickel Shepherds Lip Dog Whistle produces a widely varying and easy controlled range of pitches popular at sheep dog trials. Sometimes called the Shepherd’s Lip Whistle made famous by the television program, One Man and His Dog. This professional model enables the dog trainer to create a crescendo of sound in tremendous variety. There are many dog trainers who consider this to be the ultimate in-tune communication with your dog. Nickel Silver. N.B. If you place your tongue against the lower hole you will silence the whistle. It doesn't matter which way up the whistle is placed. This whistle does require a few practice blows before you get a sound, but once one sound is achieved, it is plain sailing or whistling.